Happy Earth Day! And Happy Week of the Child, which ends with the Safe and Healthy Kids Fair at the High School on Saturday, April 27! It even includes a bicycle rodeo! On the bicycle theme, next Saturday at noon join the easy TRAILS bike ride from Cycle Logical to Jack Gist Park for a picnic. Let TRAILS know if you need help sorting out a bike (Cycle Logical will rent them for this outing for $20), and also if you’re planning to join the ride so we can buy the right amount of food fixins’. We'll have great rider support, so it's a great time to get back on a bike if it's been a while. Cowboy Cabaret is tomorrow evening—quite a hoop-dee-doo for $10. And Monday, learn how YOU CAN HELP IN A DISASTER. What a great thing for us all to know!! And note--if you want to use an adaptive cycle on the easy TRAILS bike ride April 27, call TRAILS BEFORE April 20 so we can line up what you need. That’ll be the last day to arrange to use a bike from Challenge Alaska’s amazing bike fleet. (Call Michael at TRAILS to learn more about what's available.) Also let TRAILS know (235-7911) as soon as you know that you’re joining the bike ride so we can buy the right amount of food fixins’. Finally, remember to report sandhill crane sightings to Kachemak Crane Watch, 235-6262 or reports@cranewatch.org (note date, time, place, behavior, and crane number). I haven't seen any cranes yet--have you? Finally—if you want to use an adaptive cycle of some kind for the easy TRAILS bike ride April 27 (see flyer at the end of the calendar), CALL TRAILS before April 20 so we can identify and line up what you need. 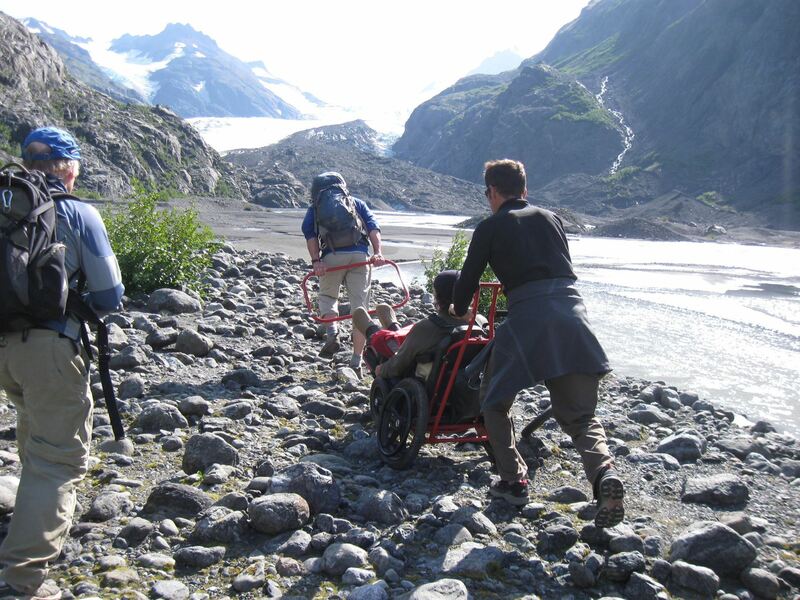 That’ll be the last day to arrange to use a bike from Challenge Alaska’s amazing bike fleet. And remember to report sandhill crane sightings to Kachemak Crane Watch at 235-6262 or reports@cranewatch.org (note date, time, location, behavior, and number of cranes if possible). Two very fun but quite different events highlight this week. Saturday March 30, join a fun run/walk along the “Blue Line” marking the tsunami-safe zone through town. Tuesday evening, enjoy a lovely free concert at I&O performed by the Homer Youth String Orchestra. Details are in the calendar right here: weekly events March 30-April 6.pdf. Also, birds are returning, so brush up on shorebird identification on Monday, and report sandhill crane sightings to Kachemak Crane Watch at 235-6262 or reports@cranewatch.org; note date, time, location, behavior, and number of cranes if possible. And of course, Friday April 5 is First Friday. Busy week! Check out the TRAILS 2019 Spring-Summer "One Hit Wonders" calendar to find special TRAILS outings you'd like to join. Remember, TRAILS "consumers" are eligible for scholarships covering up to 1/2 the cost of a trip. So call us about how to become a TRAILS "consumer." And Download the OHW calendar by clicking this link: 2019 OHWs.pdf. Our first special outing will be an easy, get-the-kinks-out bike ride on Saturday, April 27. Here's a flyer about it: Bike Trip 2019 Flyer-dl.pdf. Wondering where you’re safe next time the tsunami siren sounds? 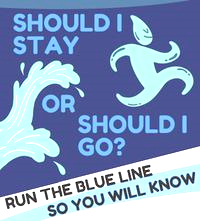 Have fun next Saturday (March 30) finding out by walking or running the “Blue Line” through town along the edge of the tsunami-safe zone. There are lots of ways to be creative this week—whether decorating a plate at Bunnell or making something wild and wacky out of cardboard for next month’s gallery show at Council on the Arts--so check out the weekly calendar right here for ideas and other activities: weekly events March 23-30.pdf. And you’ll see lots of boats heading out this weekend for the 26th annual Homer Winter King Salmon Tournament. So have a fun week! Try fun and inclusive pickleball at SPARC on Friday at 3:30. (I pasted a couple generic pickleball photos below.) You can even try playing in a wheelchair--with a few good pointers from Tess Dally! TRAILS will bring an extra wheelchair or two. Meet the new TRAILS program director—Michael Gavillot—this Friday for pizza, potluck, and a movie. We’ll meet at ILC at 5:30, then over pizza, Michael will introduce himself, and we’ll hear YOUR ideas for additional TRAILS activities. The Summer 2019 One-Hit Wonder calendars will be available too. (You'll also get that calendar via email.) After sharing ideas, we’ll settle in for a movie—movie suggestions are welcome! Be sure to let us know if you plan to come so we can have enough pizza! The Spring-Summer schedule is available for all the activities you can do through City of Homer's Parks and Recreation department and Community Schools. Check it out here: https://www.cityofhomer-ak.gov/recreation. Meet Homer’s new Congresswoman, Sarah Vance, this Saturday and let her know what you need from state government. And if you want to be a better advocate for yourself, check out advocacy classes every Monday through March. There are lots of other ways to meet your needs this week in Homer, from needle felting your very own owl (see the picture below) to adjusting your body for improved function and health. Here's the calendar to give you ideas: weekly events March 2-March 9.pdf. Check out a 6-week class on living with chronic health issues—it starts on Wednesday and all 6 sessions are only $10.